As Marcin put it proudly, "in our team we don’t know the word impossible nor the phrase it can’t be done. Each of us has one aim - to be the best". Now that we had some background on the team, we wanted to know more about the design and assembly process. "Everything started in February 2008," Marcin replied. "Then I started with the first drafts. About a year later we arrived at a design we all could agree on. A few months of strenuous work followed to create a 3D model with SolidWorks software. After that we started looking for a company with the proper tools to create a full 1:1 scale model. We went through a few failed attempts and many trips around Poland. These disappointing results dictated that we do it all ourselves." Marcin’s rejection of impossible and it can’t be done set the course. "I went for gold," he continued "and invested all my money in setting up a modern factory to produce loudspeakers. We found a workshop which we adapted to our needs, bought modern CNC mill, tools and everything needed to start production including everything for our own measurement facility. "On June 15th 2011 we had a prototype of the casing fully made by us. There's no room for compromise in this production process. Each element of the VZ1 as well as all the materials used are of the highest quality." Now we get to the special manufacturing techniques used in creating the VZ1 which as far as we know are unique to Pancin. "The driver pods are made of special MDF produced for us by a Spanish firm. From their raw material we glue up the necessary stock which our CNC mill then shapes into the various parts which eventually form the turbine compartments. The milled elements now undergo many physical/chemical treatments to create structural layers of various hardness." Here we remember that Marcin talks about nothing less than altering the material properties of raw MDF to obtain the desired properties of acoustical behavior. The whole MDF gluing, treating and curing process takes about 6 months before the next steps are possible. These include "the lining of the chamber parts with bituminous mats and natural lamb wool. The mat is greased with a gel which deadens resonances whilst its non-drying surface catches dust inside the casing. This measurably improves the conditions in which the drivers operate and also extends the overall durability of the loudspeakers. In the next stage the clam-shell halves of the pods are joined in a press with voltage-activated glue, then Mirek paints them. 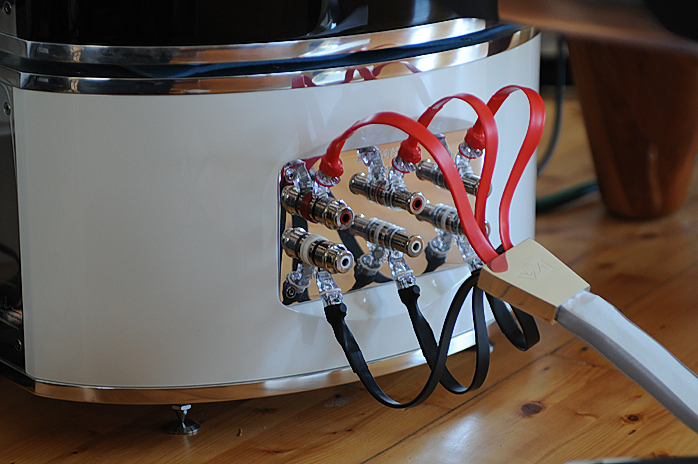 "Once all the casings are assembled, we fit in the pre-conditioned and pair-matched drivers and wire harnesses. All filter elements of the crossover are paired as well and silver-soldered point to point to avoid printed circuit boards which damage the sound. The final build phase is the assembly of the painted pods with the aluminum trim milled from solid stock on our CNC machines. We start with solid rolled alloy of the highest quality. Each pair consumes 300kg of aluminum. Once cut by machine, Koyot manually grinds and polishes all the metal parts." To reiterate, the curved plinths and trim bit amount to 150kg of metal per channel. 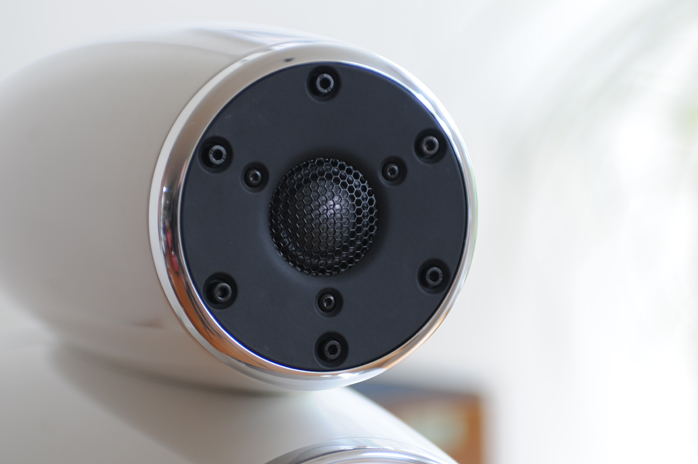 "At the very end of the build the speakers are rigorously screened after which I personally listen to them. Nothing gets boxed until I have signed off." This sounds simple but as we'll still see, nothing with Pancin ever cuts corners. "In the VZ1 design and build there are many of our own solutions and innovative approaches we don’t want to talk about or explain their workings of. We want to protect our intellectual property from the competition. Hence we didn't pursue patents which would only detail out our solutions which occupied our research for many years and consumed many funds. 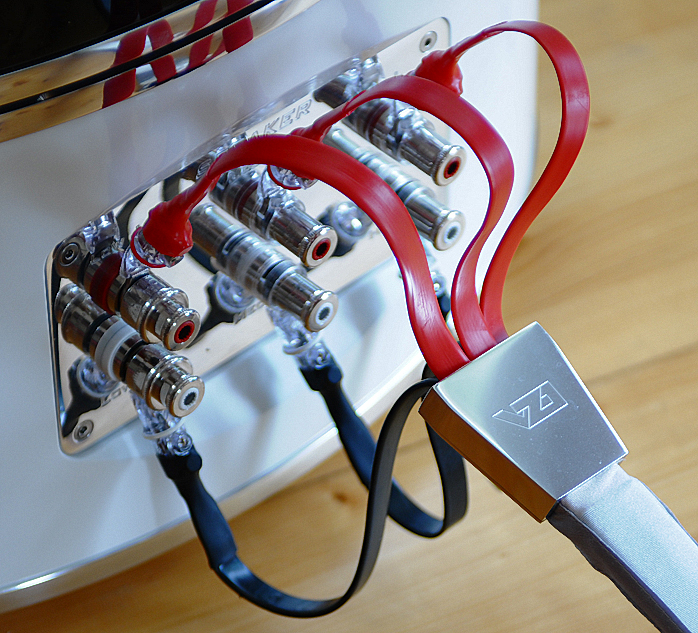 We've worked for years to consistently improve and refine the sound of the VZ1.The external crossover gives our customers the option to choose a certain sound best suited to their needs. In case we create something better, we can upgrade the owner’s previous crossover to the latest version for only the difference in parts cost." When asked about his reference gear Marcin replied that "to tune we mainly use Krell’s reference model and Nordost Odin or Valhalla cabling. Our VZ1 were listened to with other amplifiers as well including tubes which I borrowed from colleagues for specific auditions." Building an elaborate and quite revolutionary loudspeaker like the VZ1 as a new company's maiden project is risky business educated by passion and a solid design philosophy. How did they end up with Scanspeak Illuminator drivers exclusively from the glut of available choices? Marcin's answer was most direct. "During 20 years of building loudspeakers I have tested most of the best drivers including the Seas Excel Magnesium, Morel Supreme, Eton Symphony, Dynaudio Esotar and other ranges. For the VZ1 Scanspeak's Illuminator series was the only choice as their drivers met all my requirements for being very natural, dynamic, fast and accurate and most of all don't impose their own signature on the sound." Marcin was just as resolute when answering to what other speakers he had compared their VZ1. 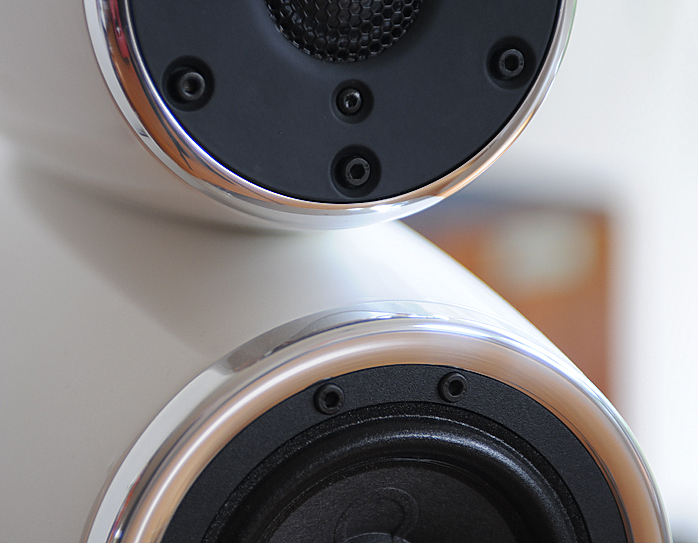 "Whilst designing and tuning loudspeakers I never compare my own to any others. I voice them according to my own perception of sound and compare only to acoustic instruments, live voices or sounds in nature." We already mentioned the use of nicks among the team members. Pancin is one as well, for Marcin that is. "Pancin is my nickname made up by my nephew Kamil Stelmach when he was two years old. He used to call everybody by his or her first name, even his grandparents, but called me Pancin because he had problems pronouncing my name. My friends picked up on that—it was funny—and also started calling me that. For some 18 years my friends have been calling me Pancin. I can’t imagine my company having any other name." What about the future? What might we expect from Pancin in the near future and a bit later? 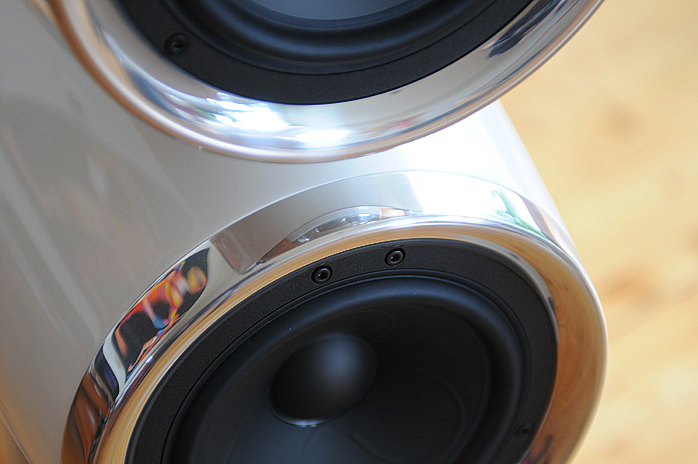 "At this moment we are almost finished working on an active subwoofer based on the latest 13’’ Scanspeak driver. It sits in a sealed box with an amplifier of our own construction which omits all signal-path capacitors and sports adjustable Linkwitz correction. Of course the VZ1 is only the beginning and a small example [small? - M&H] of what we can and want to achieve. The next model will be even more beautiful and technically advanced with 8’’ woofers and called The Eagle. I can assure you that outside our own team you'll be the first ones to see and hear it [promise accepted! - M&H]. And finally there will be our flagship and largest model, the Dragon. Apart from our artistic versions like the VZ1, we are also going to make strict 'traditional' versions packaged in 'almost' conventional casings whilst preserving most of the technology from the artistic precursors. These models will be on sale for a reasonable price aiming at a broader audience. "Our goal is to conquer the globe so all self-respecting audiophiles will know our speakers, dream about them and those who acquire them will be the happiest listeners in the world. Our whole Pancin team and our friends will be happily listening to music through the VZ1. Well, not that many actually. We will only produce 99 pairs of the VZ1, 66 of the Eagle and 33 of the Dragon." Relative to our Warsaw show report mentioning Batoon as the VZ1's designer Marcin had to correct our notes. "To be exact, Radoslaw 'Batoon' Sentkiewicz is no designer of the VZ1 project. Batoon drew the Pancin logo from my signature. He also created the VZ1 logo and helped me with drawings at the start of the drafting process. The entire project and detailed outline is by me. Lukasz Tomczyk and I share responsibility for the technical solutions and sound but I take personal responsibility for the final result. Our entire company was built my me, Lukasz and Jacek." Once we accepted the review assignment in Warsaw, some time passed before the VZ1 took pride of place in Holland. From the above it's clear already that Pancin Art Technology doesn't do things causally. Perfection is one thing but everything about the VZ1 demands über perfection. The team thus took time getting the review sample fully broken in and perfected to Marcin's satisfaction. Only then would the pair be boxed up. What that boxing meant we learnt one Wednesday when a small motorcade arrived in our street. After a straight 1150km journey a car and van adorned with the Pancin logo stopped at our door. As soon as Marcin’s wheel chair was assembled and he in it unloading commenced. There was to be no breather for coffee, tea or chitchat. Unloading and setup was the sole mission. Just as meticulously as the VZ1 is assembled so were two giant black crates fitted into the van – one sideways, one lengthwise. The rest of the van’s interior was occupied by a pallet wagon and toolboxes. Unloading the speaker and crossover plus crate itself was made easy by leveling the wagon to the van’s floor with the help of some blocks made from the same material the VZT1 parts are machined from. When the crates emerged slowly from the van attention to detail was once again in plain evidence. Instead of a plain crate the sides were adorned with the Pancin logo, name and website address all milled gently into wood. With the help of the cart the first crate wheeled onto our terrace where unpacking commenced. Moving the crate around was simplified by a total of 12 handles, four on each side and two each at the ends. In theory one crate could be moved by up to 6 people.